Eric Mitchell, the head brewer at @pinehurstbrewco, has always said he has two passions – #beer and #golf. He combined the two on Thursday, taking a minute in PBC’s brewhouse to try out a trick shot. 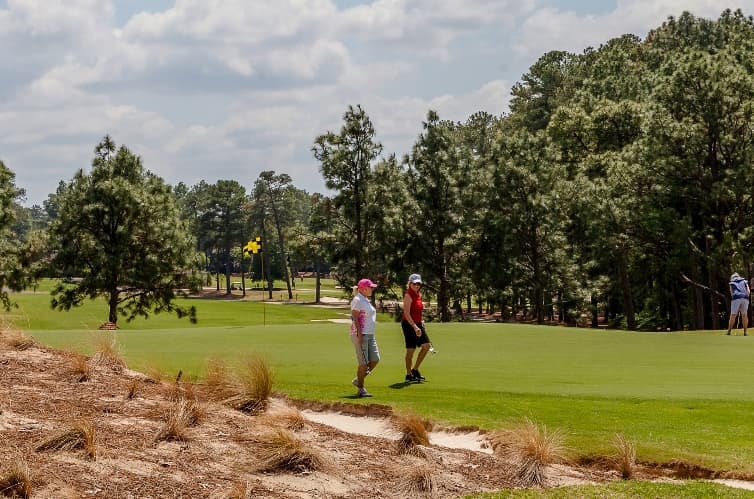 Eric Mitchell, the head brewer at Pinehurst Brewing Co., has always said he has two passions – beer and golf. We also feel like, just a few miles down the road from Durham, Chapel Hill and the rest of Tobacco Road, that Eric chose to hit a bank shot on the opening day of March Madness. We gotta name a beer after this. Any ideas?